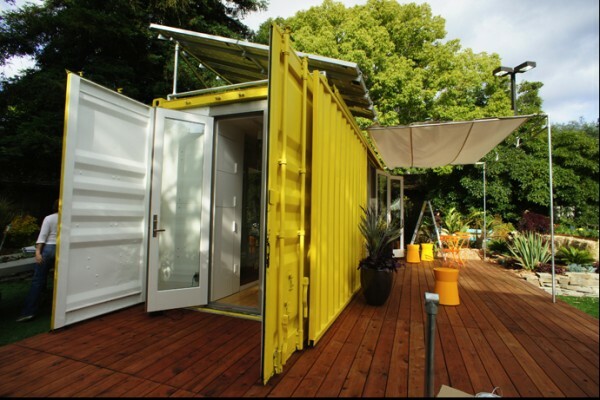 Built in a single 24ft container, this prefab shipping container home is designed as a remote retreat or self contained backyard cottage. 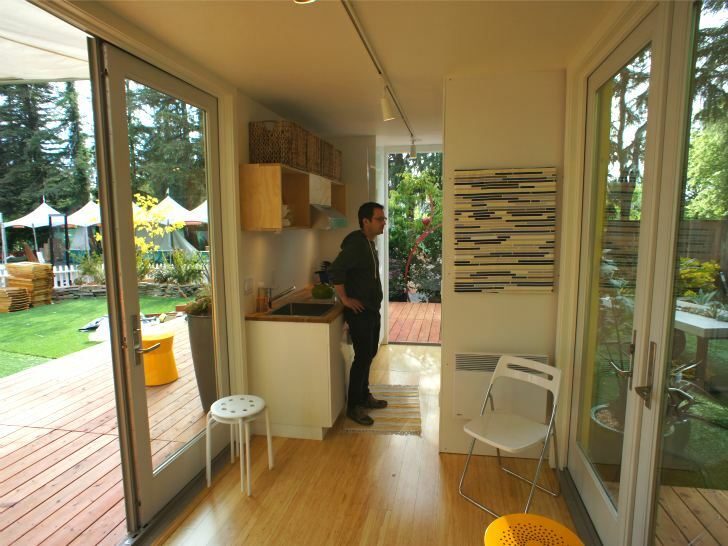 Expansive openings allow the space to fully embrace its surroundings. 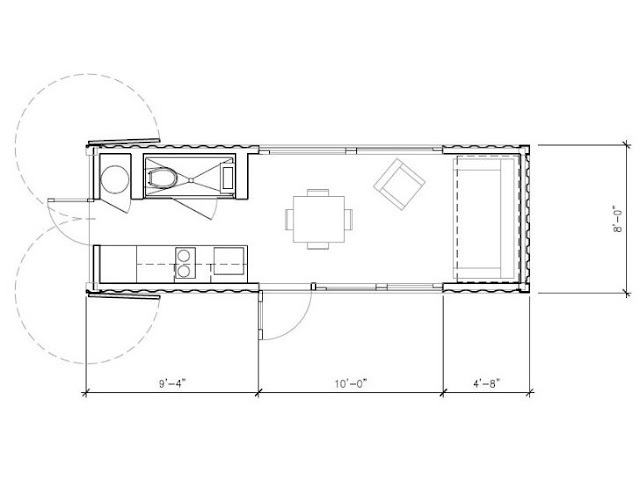 Unit's area is 192 sq ft with a bathroom, galley kitchen, built in storage, room for beds and flex space. 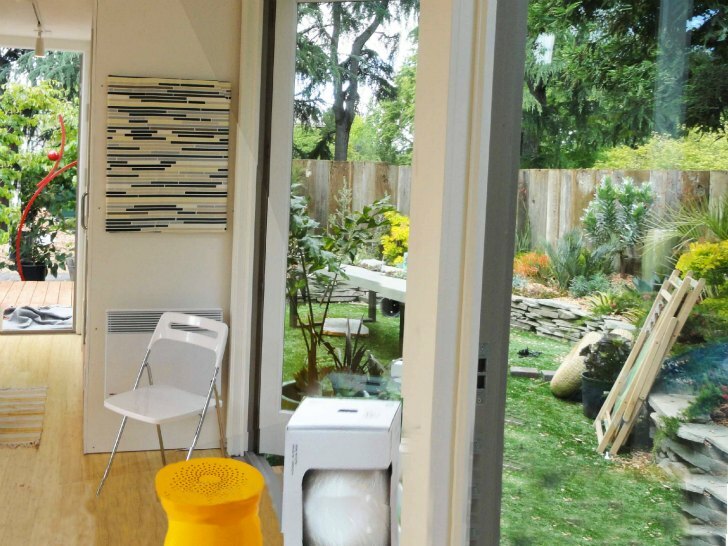 In this version of the HyBrid prefab containers range, a pull out couch turns into a bed and a fold down wall unit becomes even more sleeping space. 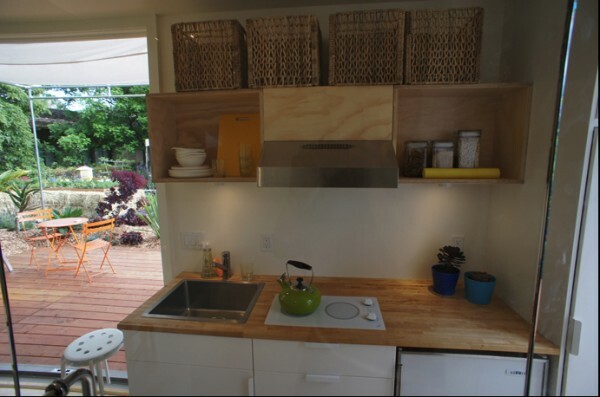 The kitchen and all of the furniture were sponsored by IKEA. 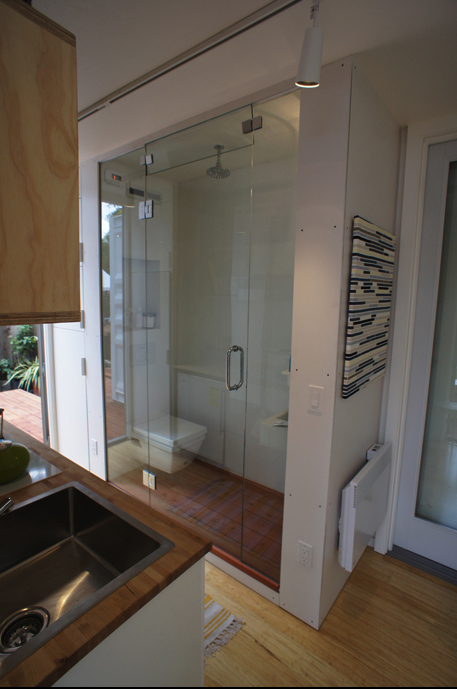 The bathroom is a glass-walled area with sleek modern Duravit fixtures. 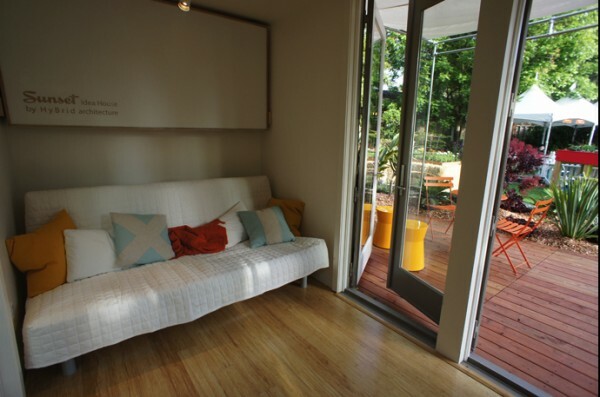 Doors and large windows open up onto a large external deck, which extends the inner living space. 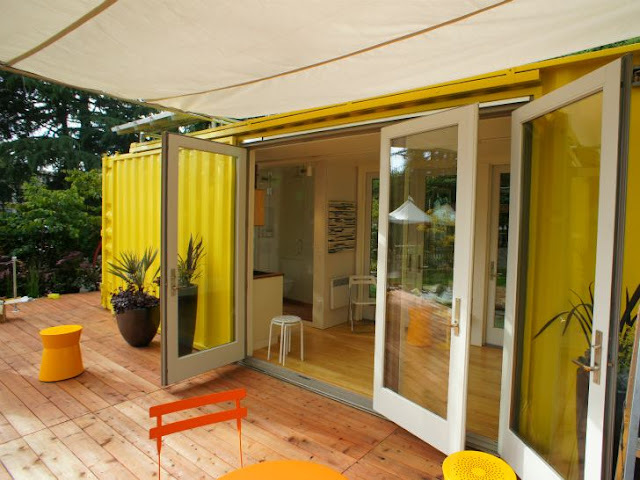 The cut out shipping container sides were used to create sliding exterior doors to close up the container home when not in use. 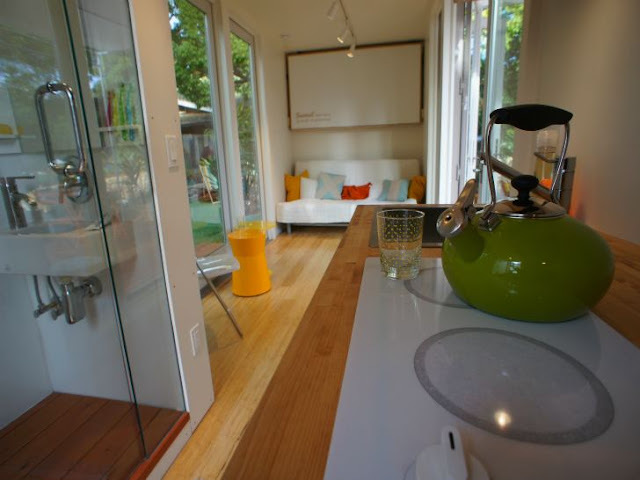 A solar system mounted on the roof of the unit provides power for the kitchen stove, hot water heater, lighting and radiant heater. 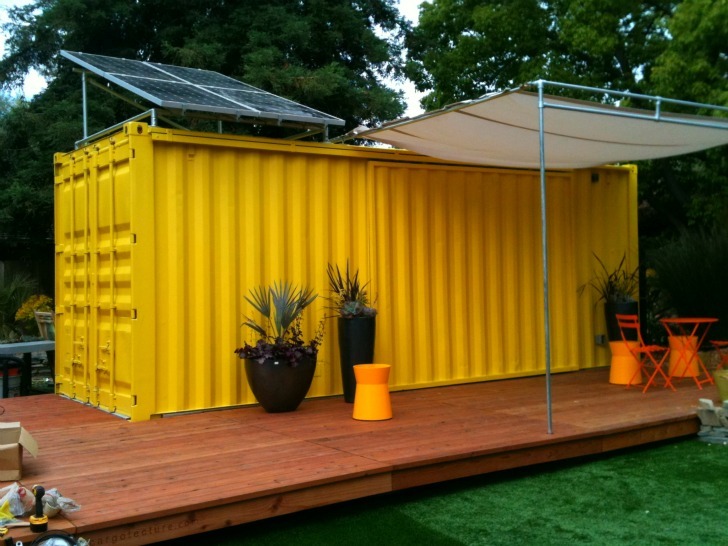 This 24ft prefab shipping container home is a one of the c-series factory built modules made from recycled shipping containers that can be customized or combined as desired by the customer. The c-series range consists of five designs in cost from $29,500 to $189,500. 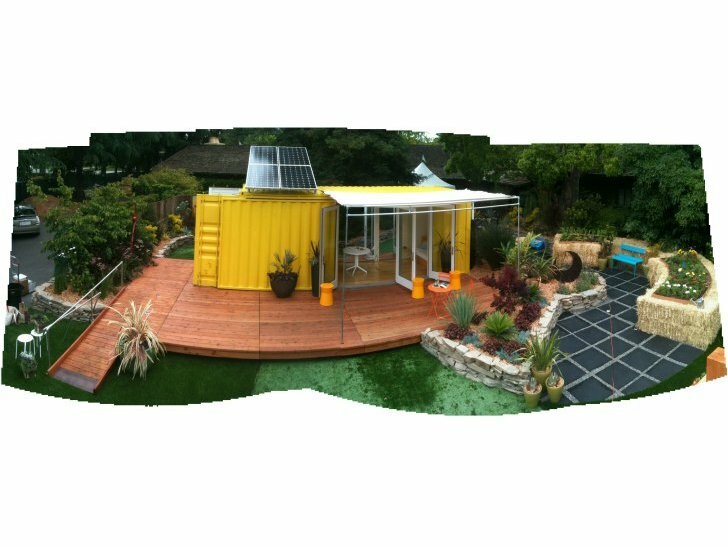 Off-grid and green options are offered including composting toilets, solar panels, roofwater harvesting and “green machine” sewage treatment. 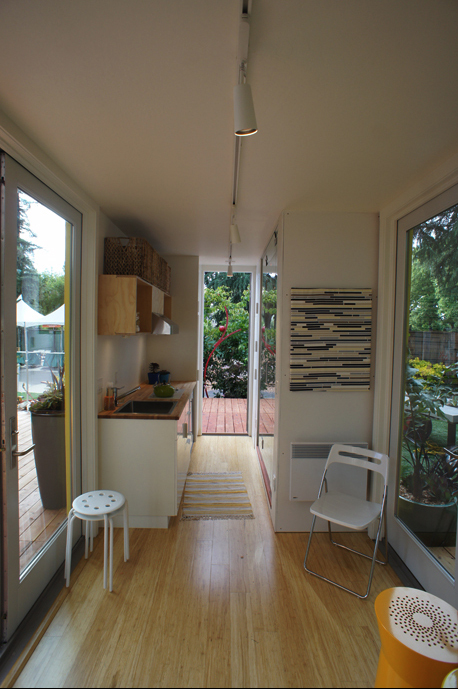 The sprayed-in insulation creates R32 floors, R44 ceilings and R24 walls. 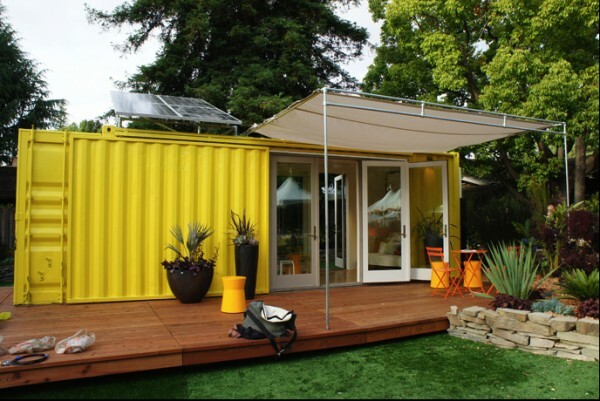 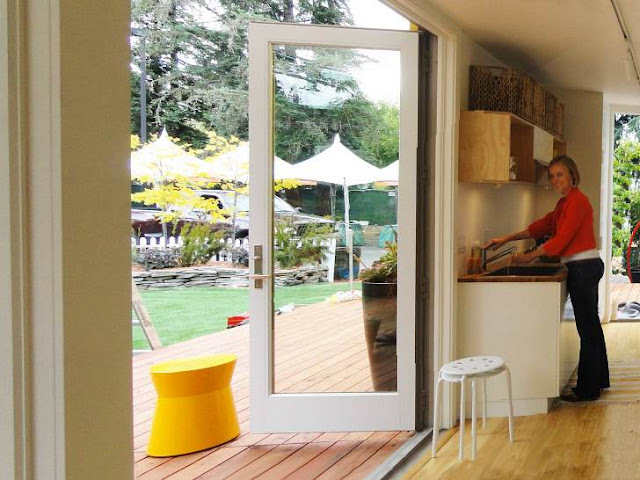 The prefab container home can be placed in cold climate conditions as well as hot climates. The roof snow load is 60psf. 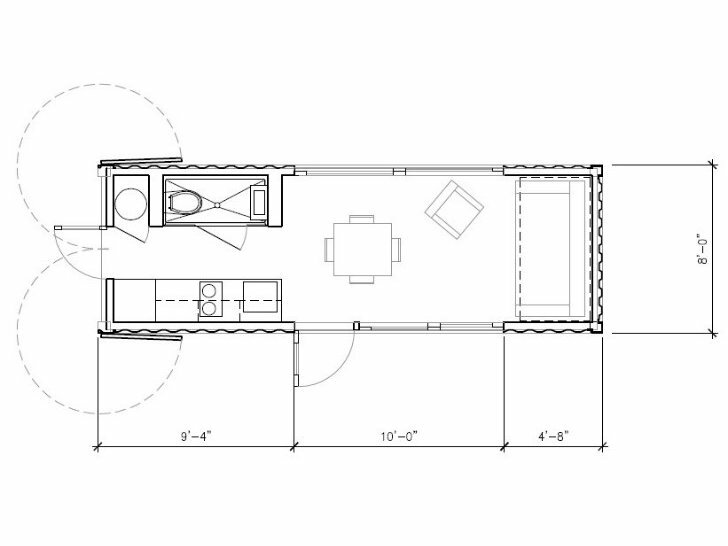 The 24ft prefab shipping container homes from HyBrid Architecture are shipped complete. 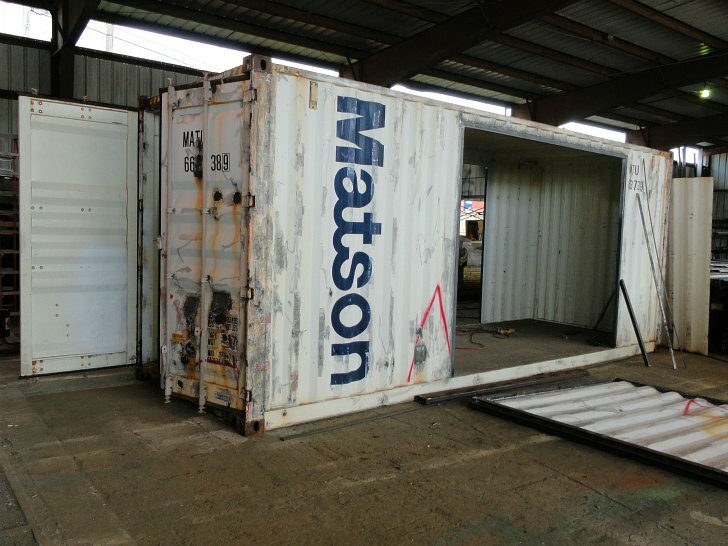 A local builder will need to be arranged for foundation work as well as sewage and electrical hook-ups. In many local jurisdictions, if a project area is less than 200sf there is no full permitting process required. 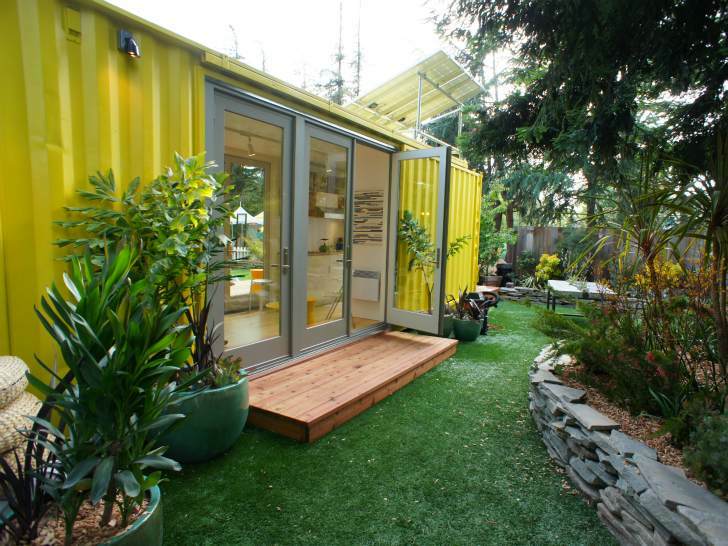 Compact, adaptable and relocatable, these prefab container homes can be used for guest rooms, backyard offices, extra living space or smart and sustainable housing. 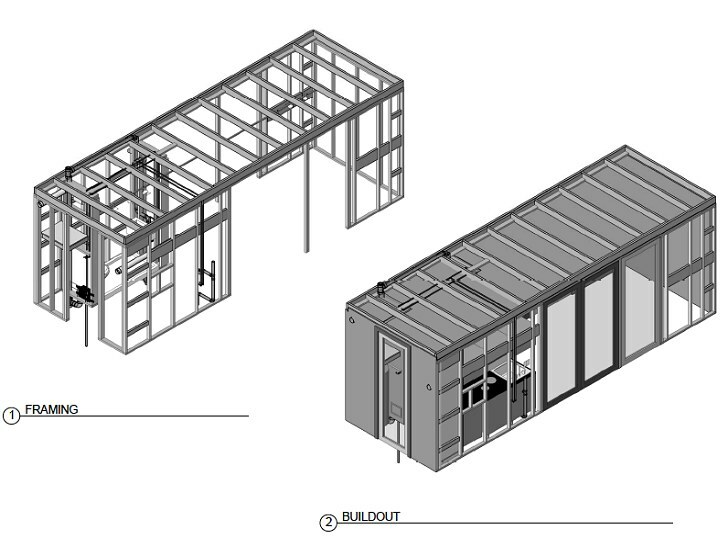 The modular units are completely built in a specialized factory then easily transported via truck for a quick one day installation on building site. HyBrid Architecture has completed commercial and residential prefab container projects in Washington, Oregon and California and has designed over 20 projects worldwide.